A great way to engage kids who would otherwise loathe math practice (and also just a fun way for anyone to review important skills!) is to play a game. My son has a hard time getting motivated to do school work, but he is always more excited and engaged when I turn whatever we’re doing into a game. 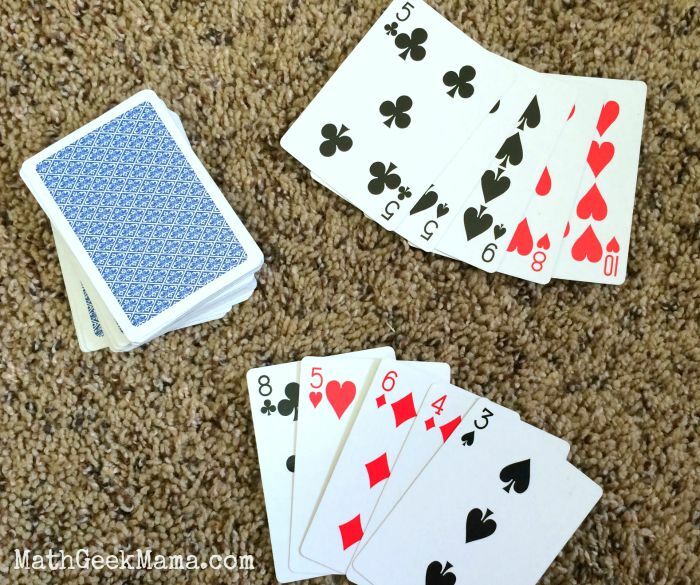 Here you will find some of my favorite math card games, organized by topic! Sometimes, board games can be cumbersome, have a lot of pieces, or require a lot of money. 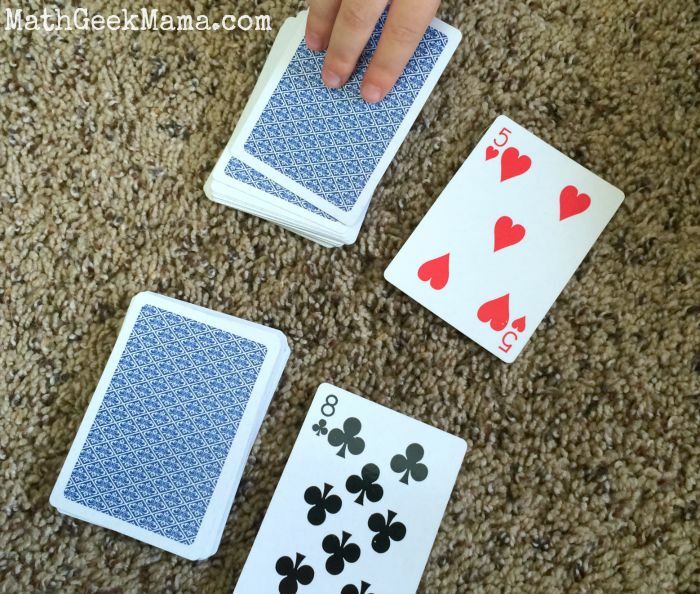 One thing you can always use that is easy, portable and cheap is a simple deck of playing cards . Just one set of cards can be used for countless games! And if you have two decks, it just adds to the challenge! 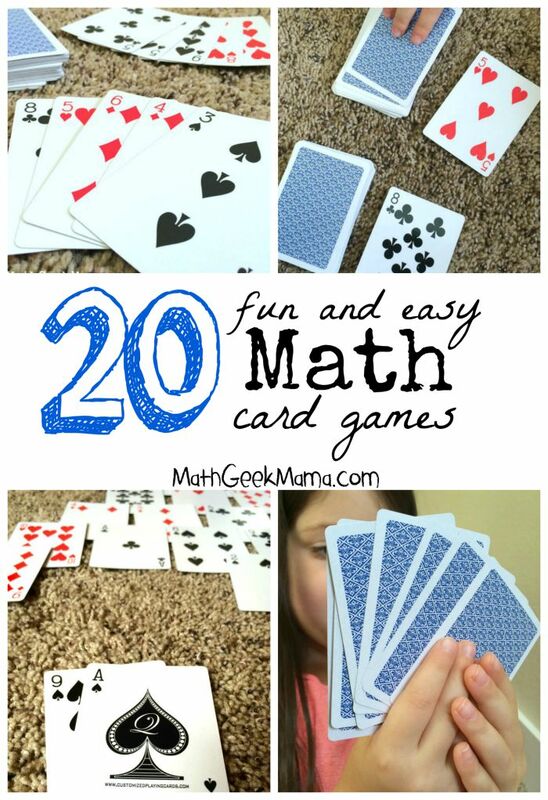 To help you, I have been searching for awhile to find the best math card games and round them up into one giant post so you can find something for virtually any math skill! 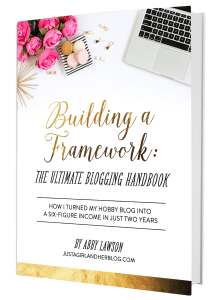 I hope you find something just right for your kids! 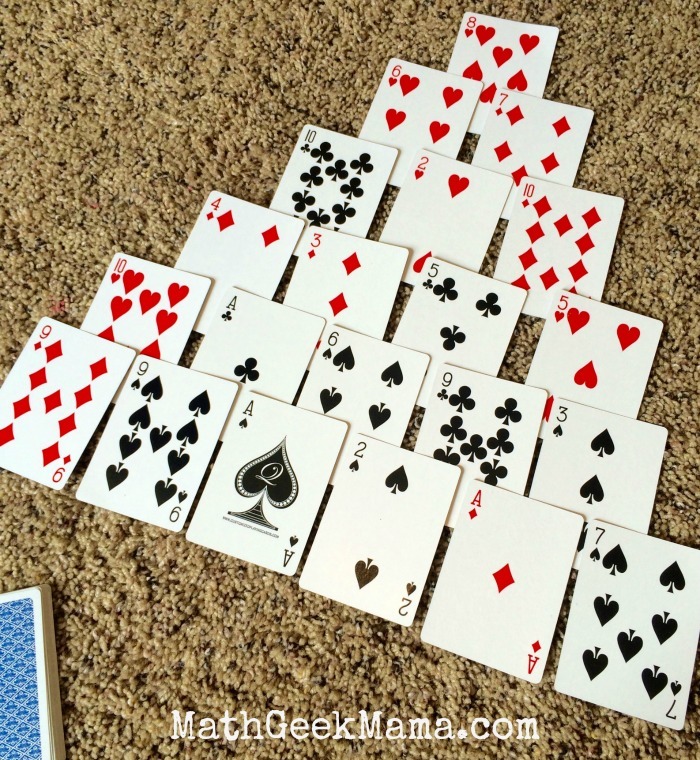 And if you want easy access to quick math card games, check out my ebook, Math in the Cards: The Ultimate Collection of Math Card Games. 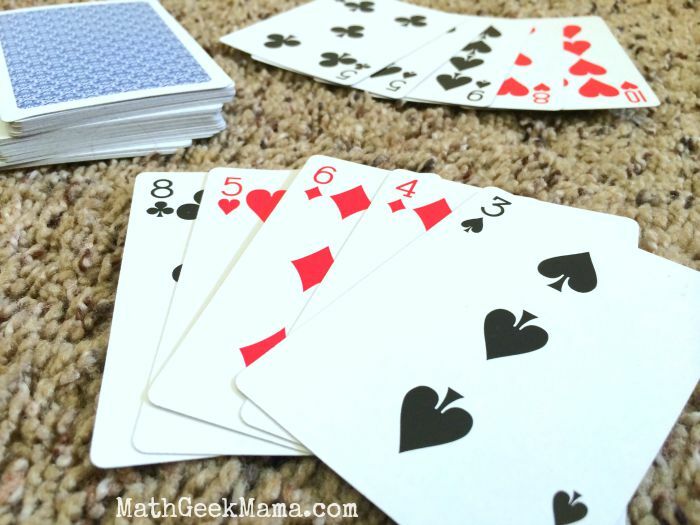 And don’t miss my newest resource, Math in the Cards, a huge collection of math card games! 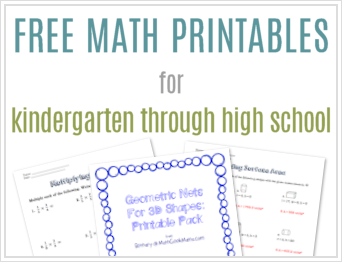 You’ll never pull out a boring worksheet again! 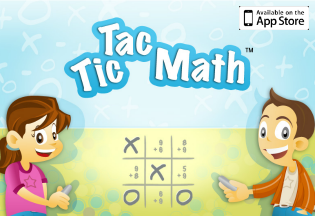 Great idea, my son hates math, but he would enjoy games like this. Great! I hope you find some fun ideas for him! 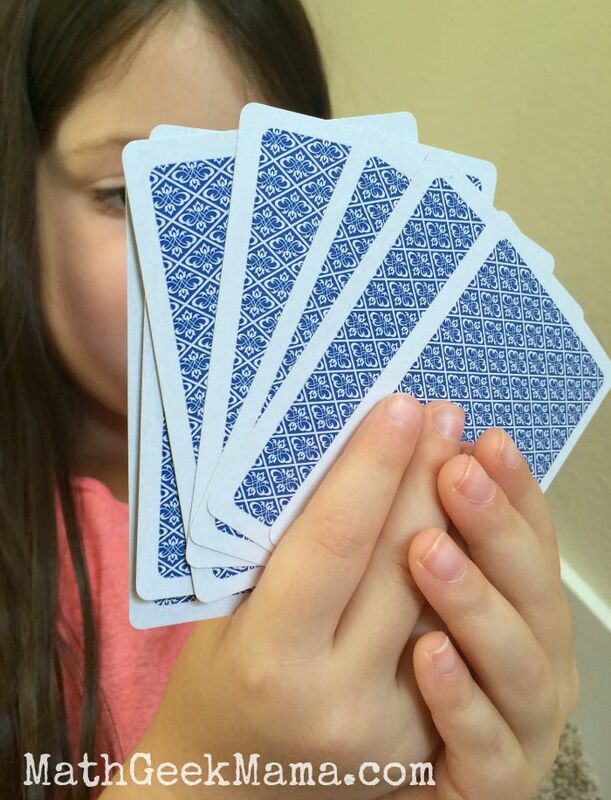 My daughter really enjoys “doing math” by playing a card game with me. So much more fun than a worksheet! I was wondering if anyone has heard of a math card game for a single player called “Recycle”. My nephew taught it to me when he was in primary school. 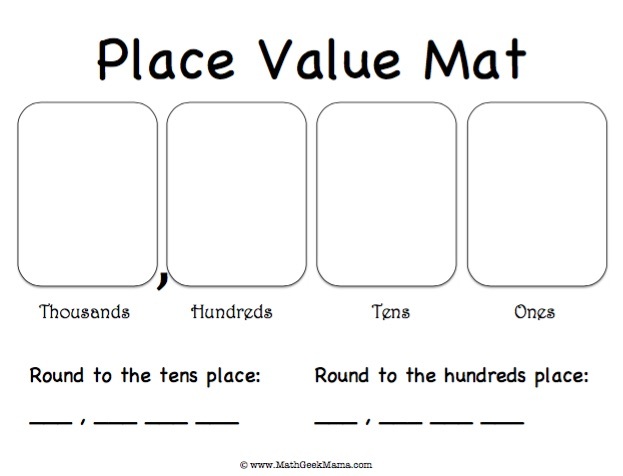 I used it in my middle school math intervention class. It’s been four years since either one of us have played it. Neither one of us can remember the rules. I have a colleague who would like to teach using it. I had taught it to her a few years ago as well. I have tried looking on the internet, but I just get games on recycling…instead of math skills. Any help would be FABULOUS! Really a fun way to teach math.